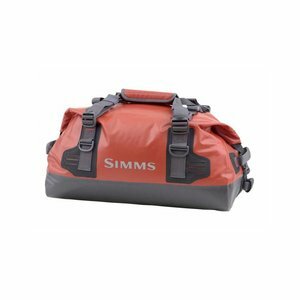 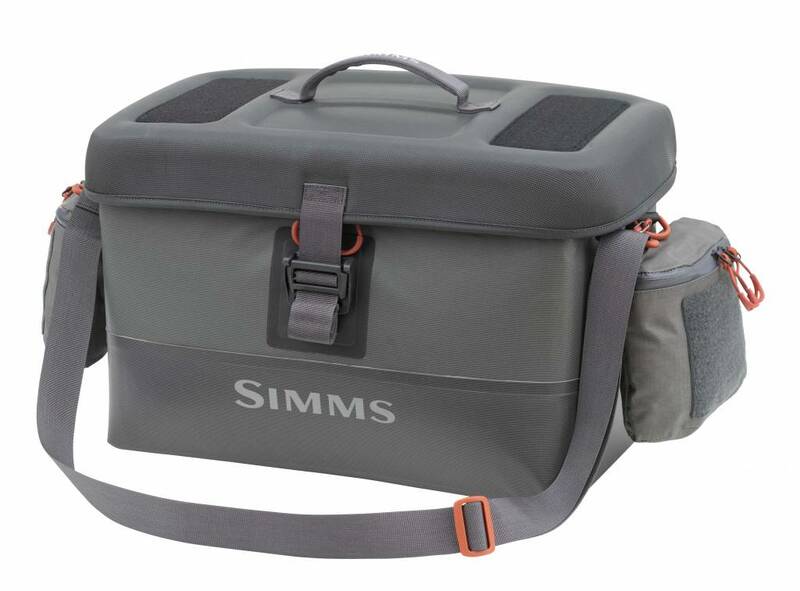 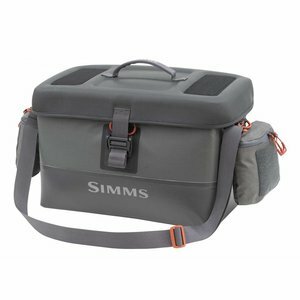 Simms Dry Creek Boat Bag, airtight protection and intuitive storage to your on-the-water kit, with the cavernous 41L Dry Creek Large Boat Bag. 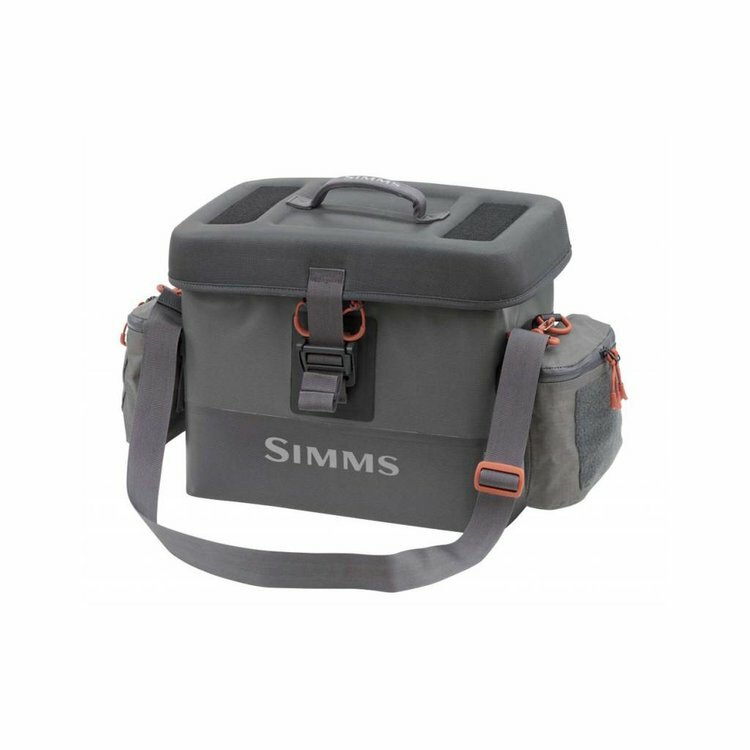 From the top, a PU embossed, compression molded lid is smash-, water- and foolproof thanks to a magnetized, adjustable Catch & Release latch. 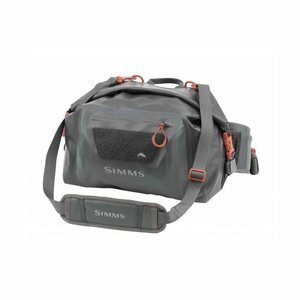 Ultra-rugged 420D nylon waterproof fabric, with RF-welded seams, enhances exterior durability, while a detachable shoulder strap doubles as a convenient bag leash for rough waters. 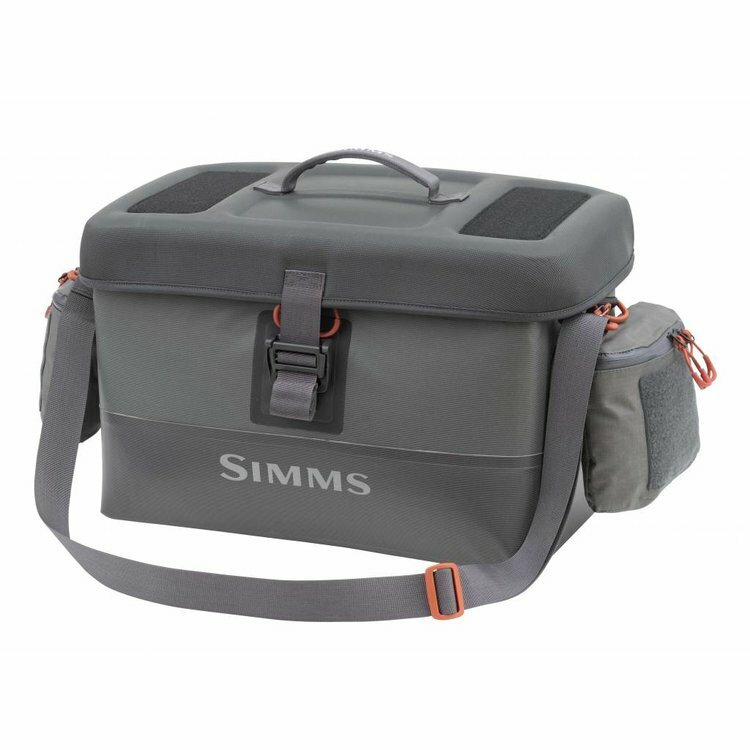 Additional details include ample loop patches, removable exterior fly-box pockets that synch with Simms wading belts, and easy-access tool docking stations located on both side-panels.